E-Commerce Sort & Pack Containers | Reusable Transport Packaging Inc.
Reusable Transport Packaging is committed to meeting your organization, storage, and shipping needs. E-commerce businesses face many challenges related to their inventory and distribution, and we provide the needed solutions. Having the right tools is a necessity. Your business is unique, and we’re eager to help you find the perfect solutions to increase efficiency, provide sustainability, and reduce waste. 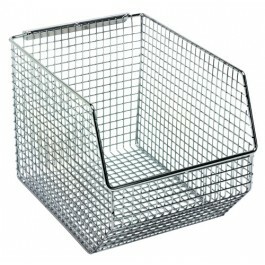 We supply the largest array of reusable plastic crates, bins, handheld containers, boxes, pallets, and stock picking baskets that help online retailers sort, store, access, and ship their products. Our plastic bins and containers are standard components of many pick-and-pack retail operations. Our packaging solutions feature a wide array of options, including custom dunnage (product dividers), vented or solid walls, attached or detached tops, ergonomic hand grips, and more. For bulk storage and transport, we provide collapsible, stackable, rackable, and nesting options. Our products feature industry-leading plastic construction, giving you strong, durable solutions that you can reuse time after time.